Mecca Bingo will be opening a brand new room this month and they have named it the gold rush. However this room will not be exclusive to just them as it is on a networked footing, which means you are able to access it at a number of Virtue Fusion based sites on the net. The brand new gold rush networked room at Mecca Bingo should open its virtual doors on Tuesday 17th January, and as you can probably tell from its name – this is the place that will house their big money jackpot games including the innovative bingo linx. The bingo linx games come out to play three times daily and they come loaded with the following guaranteed jackpot prizes. Plus on the last Sunday of every single month the £10,000 money spinning bingo linx mix up will put in an appearance. All this cash must be won on the night between 10pm and 11pm. And this is just for start of what they have lined up in the gold rush (which we are sure is going to prove to be one of their most popular rooms). Wednesday’s have been renamed (jackpot Wednesday’s) and for good reason, because on the gold rush bingo tables you can expect to play for guaranteed jackpot prizes ranging between £650 and £1,000. The jackpots on offer will increase by £50 every half an hour until they reach the £1k mark – which means a whole lot of cash will by flying around. Every Friday they will be going mad with those jackpots once again with £20,000 up for grabs and each Sunday you really could have a super Sunday if you win one of the £1,000 guaranteed games which will take place on the hour every hour between 7pm and 11pm. The gold rush rooms certainly looks like the place to be at Mecca Bingo and you have not got long now until this super jackpot room opens its virtual doors. We await the room rush to begin! This entry was posted in Online Bingo News and tagged Mecca Bingo on January 9, 2012 by SuperAdmin. It has been brought to our attention that there seems to be a bit of a max exodus of virtue fusion software going on at the moment. We have heard on the bingo grapevine that quite a few bingo sites who currently run on this particular product are looking for an alternative provider, which is not great news for VF. Virtue Fusion along with dragonfish once ruled the bingo software airwaves, but by the looks of things not anymore. Virtue Fusion is a great gaming software product there is no denying that, but we think the problem has arose from there just being too many of these software based sites (the same could also be said for globalcom, the dragonfish subsidiary arm or 888)on the net, in fact you could say the online bingo marketplace has been flooded with VF sites. Bingo Chest run on virtue fusion and this site closed down with really any prior notice only a few weeks ago. Along with the closure of BC went the virtue affiliate site, because all other sites using this product have their own affiliate programs. Mecca Bingo and Ladbrokes Bingo are just two such sites who use VF software, but they still manage to stand out from the bingo playing crowd. Both Ladbrokes and Mecca have their own exclusive bingo games as well as the usual offerings. 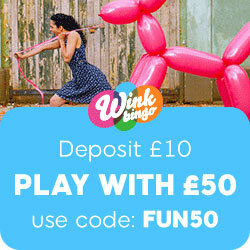 They are also part of the bingo linx, which are daily networked guaranteed games that play out across all VF sites. The great thing about virtue fusion is that gaming companies who use this product can have their own standalone bingo rooms as well as networked ones, so you do pretty much get the best of two gaming worlds. Plus the in the game options are also very good and they are at the top of the game with regards to bingo variations. Compared to globalcm, VF are leaps and strides in front with relation to different types of bingo games you can play and their graphics are great also. Which begs the question, why does virtue fusion seem to be on the downturn? We think it just comes back to their purely being too many virtue fusion software sites on the net as the product itself is outstanding. This entry was posted in Online Bingo News and tagged Mecca Bingo on November 3, 2011 by SuperAdmin. The great Mecca Bingo Las Vegas giveaway is now on and you have still got time to get in on this action which could see you win an all expenses paid holiday to the city that just never sleeps. Mecca Bingo are bringing you the chance to win a trip of a lifetime to Las Vegas for 2 people and this super prize package will also include a helicopter ride around the ground canyon, plus lots more besides. What is great about this Las Vega promo from Mecca Bingo is that they have made it very easy for you to be in the running to win this super prize and here is how it works. Each time you spend £5 playing any of these following games between now and 2nd October you will pick up (one Las Vegas prize draw entry) it really could not be any simpler than that. So if you were to spend £30 on these games you would have 6 entries, spend £10 and you will have 2 entries and so on. Games included in this promotion are – Mega Jackpots Cleopatra, Mega Jackpots Cluedo, Mega Jackpots Monopoly, Da Vinci Diamonds or Wolfrun. As they say you have got to be in it to win it – and remember it takes just one ticket to win! There is loads more offers and deals going on at Mecca this month, take a peek at their promos page for the full September bingo run down. This entry was posted in Online Bingo News and tagged Mecca Bingo on September 12, 2011 by SuperAdmin.